We're building an Active Directory server from Samba running on FreeBSD, free server software on a free operating system. We have already set up the needed DNS infrastructure on an existing BIND master (or primary) DNS server, installed FreeBSD on a Raspberry Pi, and set that up as a BIND slave DNS server for those same zones. Now we're ready to do the Samba work! Jump back to the start for an overview of the project. Recall that Active Directory is simply Microsoft's bundle of DNS, LDAP (more or less), and Kerberos (kind of). I had thought that Active Directory meant an enormously complicated collection of Microsoft-specific services, all of which communicate through arcane Microsoft-specific protocols. Not really. Make sure that you are certain about the DNS domain and Kerberos realm name, as you cannot change those. You would have to delete the definitions and start over with the correct names. Here is one way to do the provisioning. You can also do it interactively, passing only the --use-rfc2307 option. Include RFC 2307 support, as this allows you to store Unix attributes like UID, home directory, etc., in Active Directory. Be patient, as this takes several minutes to run, especially on a single-CPU Raspberry Pi. Record the automatically generated administrator password and the domain SID. You probably want to change the password expiration. Otherwise you will be suddenly inconvenienced in 42 days. Expiry for user 'Administrator' disabled. Verify that /var/db/samba4/private/named.conf was automatically configured by uncommenting the appropriate dlz_bind9_*.so shared library. It fails because /var/log is mounted on RAM on the Raspberry Pi. Logs disappear at every boot, along with the expected subdirectory. I have configured syslog to start, but then to send everything over the network to a log collector instead of saving it to disk. Samba, however, wants to save a copy locally. So, I added one line to the end of the [global] stanza in /usr/local/etc/smb4.conf. I also removed the dnsupdate from the end of the list of server services. samba is running as pid 564. I also looked in the syslog output on the log collector, there were no new error messages about missing log directories. Locally I have multiple Samba log files, all of them ephemeral ones on the RAM-based /var/log file system. But all the content is going to the log collector and being saved there. Now let's reboot and make sure that everything comes up. This is good, it's listening on IPv4 and IPv6 on all interfaces. Three samba processes are providing five network services. Check /etc/services to figure out which is which. LDAP is needed for the directory service. We need both LDAP and Kerberos for Windows clients to move beyond old-style NetBIOS/LANMAN operation. Finally, Kerberos authenticates users and issues service tickets. Let's see if we can get information about the AD server. I should be able to do that from the AD server itself and from another system, so long as its Samba configuration file /etc/samba/smb.conf is set up reasonably. Its [global] stanza should have a realm = REALM_NAME line. Can I get Kerberos credentials from a command prompt on the AD server? The above is on the AD server, so klist is from the Heimdal Kerberos implementation. I'll do this from another system where klist is from the MIT implementation. Unfortunately, the two implementations have different syntax. If it didn't there is troubleshooting information at samba.org. The MIT How-To Guide starts with a very good overview of Kerberos. MIT has further Kerberos documentation if you need it. The Heimdal project has some good documentation about their implementation, although you won't be interacting with it directly. We need to define users and groups in the LDAP directory tree and Kerberos database. All of our testing has used Administrator, the only user defined so far. You use samba-tool to define AD groups and users. We will manage the Kerberos cryptography requirements with ktutil. Yes, for standalone Kerberos you would use kadmin to manage the Kerberos database in /var/heimdal/heimdal.db, a Berkeley Btree database file. However, Samba manages its own Kerberos database under /var/db/samba4/private/. You do all interaction with the Samba database, both the LDAP directory and the Kerberos database, using the samba-tool command. The exception to this is the use of ktutil to interact with the Kerberos keytab. You will see that in the next step. The next page takes us through a practical deployment. 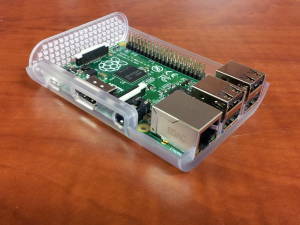 An Active Directory server based on Samba running on FreeBSD on a Raspberry Pi.